How do I use the "Call to Action" feature? 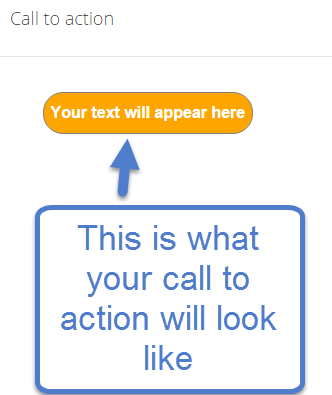 To use the call to action feature in an email template, click on the “Smart object” tab and then click on the drag and drop the “Call to Action” button wherever you want it to appear on the email. Once you place the “Call to Action” button, the customization menu will appear, (you can access this menu at any time by clicking on the button). Here you can specify the how you button will look in the template. A preview will appear on the left-hand side of the menu. At the bottom of your menu you can select what you want where you want the message to link to. Your call to action button will now appear on the template.